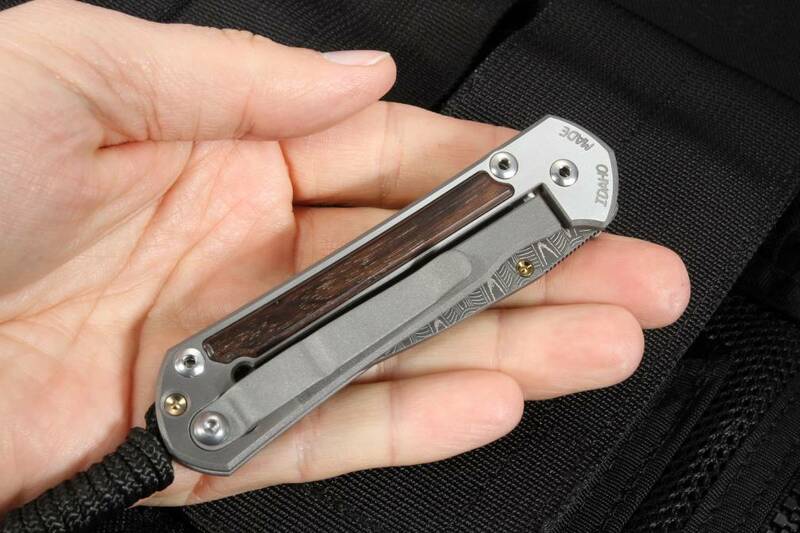 The handle frame on the small sebenza is aerospace-grade titanium, a material that provides tremendous strength for the weight of the material. The flats on the handle are satin finished and inlaid with macassar ebony panels. 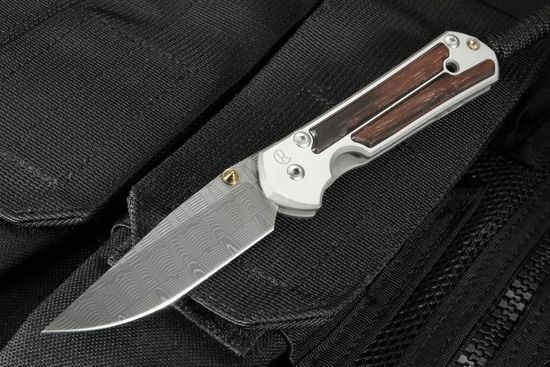 A key feature of this knife is the frame lock construction, a technology that Chris Reeve developed for folding knives. 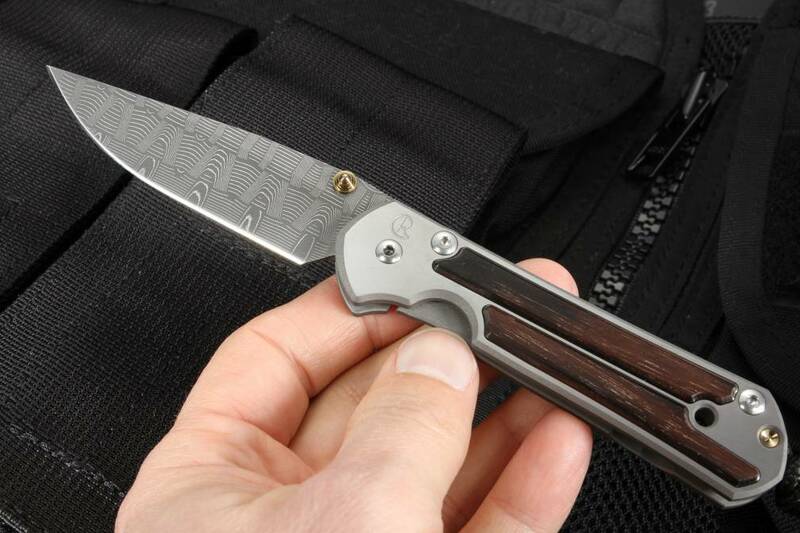 The frame lock provides exceptional lock strength when the knife in the open position and easy one-handed closing. 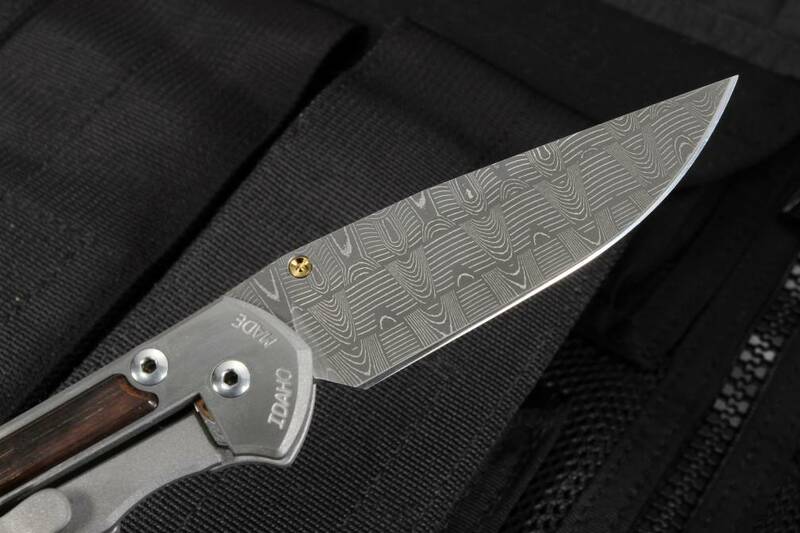 The knife is mounted with a titanium pocket clip that will securely keep your knife at hand, ready when you need it. 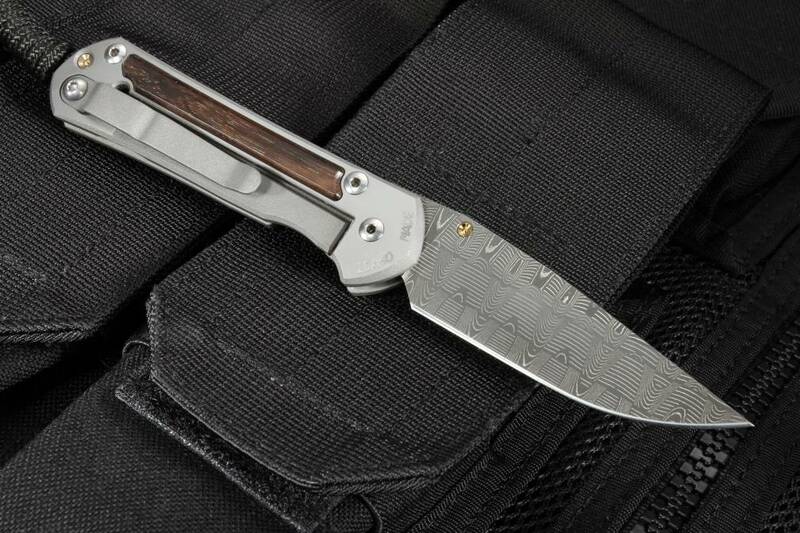 The knife also comes with a brown leather slipcase that will protect this damascus sebenza when it is in your pocket.